There are 3 different classes of service that the Airlines offer. You can purchase seats in any of these classes of service using Aeroplan miles. In this article, I’ll comment on the different classes of service and how to make sure that you are getting the most out of purchases. When it comes to buying up extra levels of service, the key to making a fair valuation is to decide how much you would be willing to pay for the extra service. Based on your own value of these amenities, you can decide whether using your miles for a higher class of service is worth it to you. The first thing you will want to do when deciding on whether or not you would like to have a higher class of service is check out the configuration of the plane. Go to SeatGuru and check out what the business and first class seats are like in your plane. On some planes, Air Canada’s Boeing 777 (77L) series for example, the configuration gives the business class (Executive First) seats significantly more space than economy seats. On some planes, Air Canada’s Airbus 321 series, for example, the business class (Executive First) seats are only slightly wider than the economy seats. Both of these aircrafts operate on the Toronto-Vancouver route, so it would be a good idea to ensure you are getting the best upgrade possible. Most people (everyone I know anyways) tend to buy economy tickets, unless they are filthy rich or they are traveling at someone else’s expense. As you travel more and achieve various status levels, the airlines tend to offer you upgrades to higher classes of service. The costs of revenue business class tickets tend to be multiple times the cost of the revenue economy tickets and first class tickets can be double or more the price of business class tickets. When looking to use Aeroplan miles for higher classes of service, there are 2 ways to achieve this goal. The chart clearly shows the rates for the different classes of service for different zones. Using miles for aspirational awards is a great use of them. The incremental cost of using your miles for an upgrade is much less than the incremental cost if you were to pay cash for it. When booking awards, something to consider is that you will be charged the number of miles required for the most expensive single flight of your award. For example, if you have 3 legs in your award ticket, with 2 of them in economy and 1 of them in business, you will be charged the rate for an award that is entirely in business. If you do end up booking your award ticket in business with a leg that is in economy, it is a good idea to show the itinerary to the gate agent and insist that you sit in business class, if available. Just because a flight has run out of business class award space does not mean that there are no seats in business class left. One thing to bear in mind is that there may be times when economy flights are not available for award redemption. In this case, it sometimes still makes sense to book your award ticket in business, depending on the type of savings you are getting. Often if you are looking to build in a stopover, even redeeming the number of miles required for a business class award ticket will save you some money over a revenue ticket. You can see the upgrade award chart here. In my experience, this is not a bad use of miles if you can figure it out. There are often many restrictions to which flights can be upgraded and which can’t. Often most discounted economy fares would not be eligible for a miles upgrade, so you would have to buy up to a higher level economy fare before you can use your miles for the upgrade. If this is the case, you are usually going to be paying a lot for the upgrade and the redemption rate for your miles is significantly less than ideal. If, however, you are on an upgrade eligible fare, this can be a very good use of miles. Primarily, you are getting the benefit of a better class of service and the extra legroom. Secondly, from a financial perspective, you can save some money as well. If you are flying and need to carry multiple bags, then factoring in the savings of waived baggage fees on business class flights can make it almost worthwhile on their own. For long haul flights in North America, you can pay 10K Aeroplan miles + minimal fees and get the comfort of flying with plenty of legroom and a higher level of service. Not only this, but the checked bag fees for your first 2 bags are waived. If you were planning on flying on a US-Canada route where the bag fees are $25 and $35 for the first and second bags, respectively, you can receive the value of $120 in potential bag fee savings for the roundtrip. If there is no award availability in economy, then redeeming your miles for a business class ticket still makes economic sense. This is even if you don’t value the extra legroom or higher level of service. Let’s say, for argument’s sake that there were no economy seats available but only business class seats available for redemption. In this case, we could do the entire itinerary in business class and it would cost us 50K miles and $199.80 in taxes and fees. Fortunately, the taxes and fees don’t go up based on class of service. 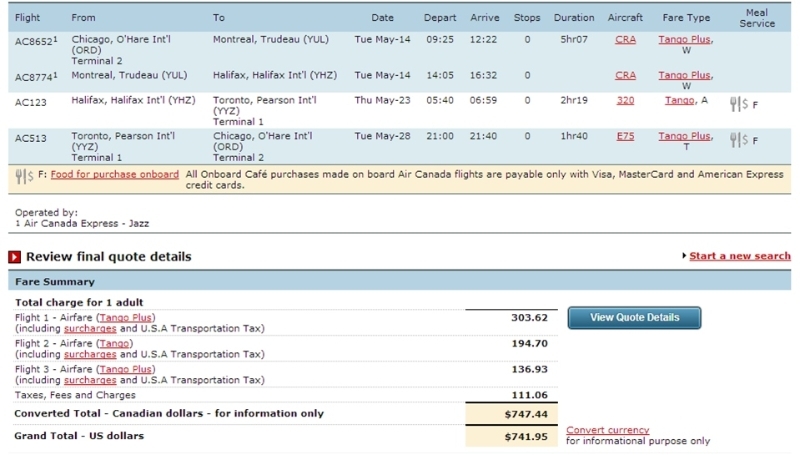 Aeroplan miles can be used to book higher classes of service for less than paying for a revenue ticket. When you are interested in booking a higher class of service, SeatGuru will show you the configuration of the planes so you can know whether it is worth paying a premium. You will want to make sure that you put all the legs of your itinerary on the highest class of service. You will be charged the number of miles assuming your entire itinerary is in the highest class of service you have. You may as well put all of your legs that are in lower classes into the higher classes. Even if you get a confirmed award, it is not a bad idea to show your business class ticket to the gate agent and you may get an upgrade. Don't subscribe All Replies to my comments Notify me of followup comments via e-mail. 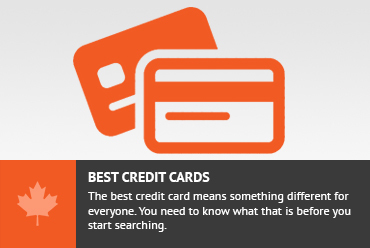 You can also <a href='https://www.creditwalk.ca/comment-subscriptions/?srp=515&srk=2648578ecea05c83754707575dc5a494&sra=s&srsrc=f'>subscribe</a> without commenting.